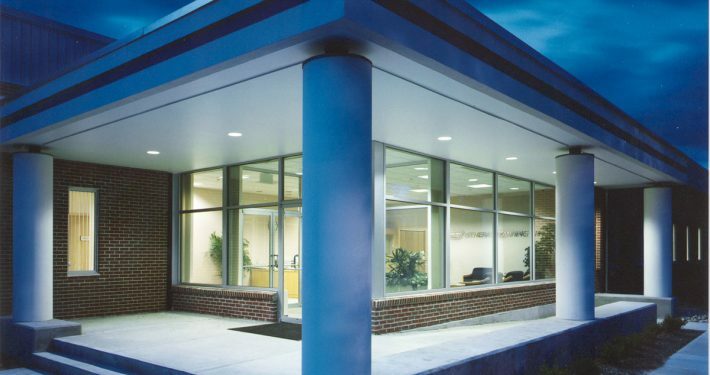 Callahan/Hoffman renovated General Scanning’s new facility in Wilmington, MA. 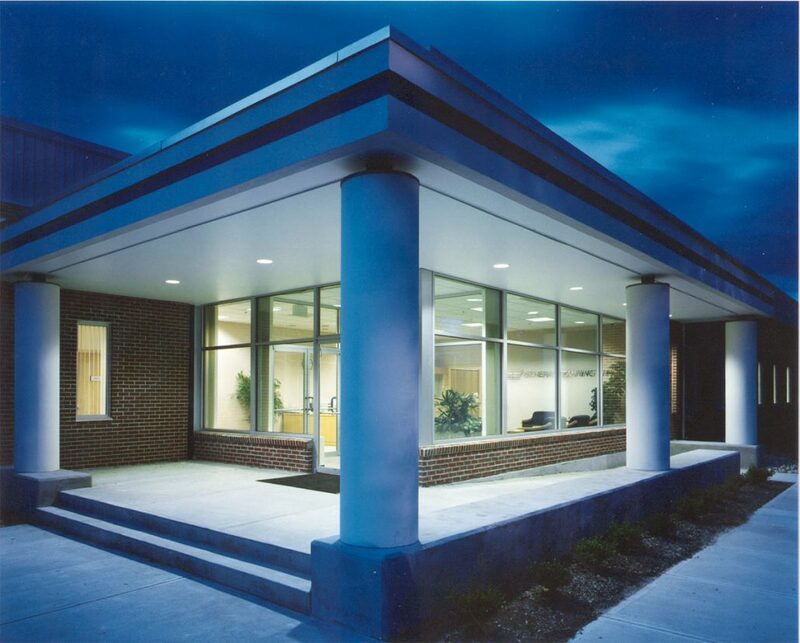 The entire project was developed on a negotiated bid design/build basis by Callahan/Hoffman. The 77,000 square foot building, formerly occupied by a division of General Electric, was renovated for executive offices, demonstration rooms, conference facilities and expanded laser laboratories relocated from their Arlington and Somerville locations. The building was stripped back to the bare perimeter walls, the HVAC system was removed and the electric service was cut back to the main incoming electrical switch gear and re-distributed. New gas service was brought in from the street and the electric heat throughout the building was replaced with an energy efficient gas-fired rooftop system. 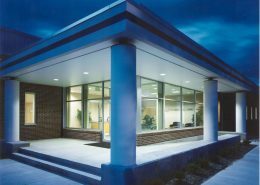 All mechanical distribution systems were engineered and replaced on a design/build basis with selected subcontractors. The main entrance and lobby were redesigned and an addition was constructed to reflect General Scanning’s corporate image.